IDK…only one team LA has played is over .500 and that was Newport Harbor at 5-4. Everyone else LA has played are below .500. CO is the real deal and LA hasn’t faced anyone even close to the Chargers. There in the same league so they play the same teams so I guess your judging non league games….don’t underestimate LA, CO Allstars teams haven’t won nothing since they been back in the league….it’s tied 1-1……CO is a recruiting school and have players following out of trees and over there LA is a bunch of hard noise football players that don’t need to recruit. Wow and I thought AMAT was the only school recruiting and offering free rides in the SGV , eye opening posts here as to what goes on in the SGV on the recruiting front , my oh my !!!!! . I went to Los altos and played football there under Ziola. We never recruited we all played with our brothers from cougars and HLP. All of us grew up together. Really out of all the schools you pick it’s those come on bro…really recruit from there. Correct me if I’m wrong but isn’t it illegal to recruit players so what other words you’re saying CO cheats. We’ll have you ever thought about they have a good program and kids and parents would like their kids to go to a good program let alone have a great coaching staff. I don’t know how many coaches you guys had in the past 20 years but I know how many CO has had. Yes very illegal but the stigma about CO is all the tranfers they get and how there loaded with talent like a private school, yes the coaching is excellent and LA has had 5 coaches in the last 30 years but look how long it’s taken to restore the program since 2010 when they were 0-10….CO hasn’t skipped a beat and never does….. 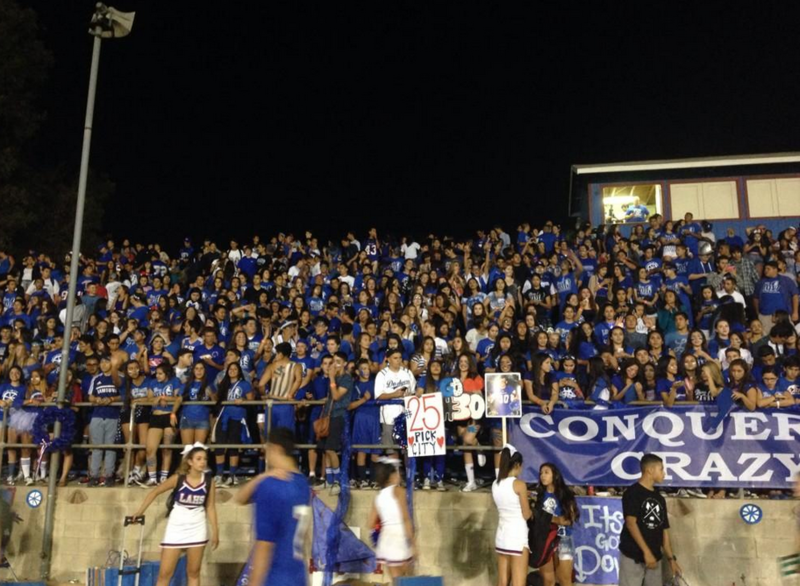 If Bishop Amat plays Chamnide tough like they played Servite and J. Serra their posted record will read 7-3. If they play on Friday like Bosco played Mater Dei after leading until the last seven monutes, well, what can I say? Forget playing like SJB , how about if they repeat playing like the last few minutes of the Loyola game . We don’t need to emulate Bosco to lose games in the last few minutes . Losing that sure win game just may haunt us come playoff seeding !!!! 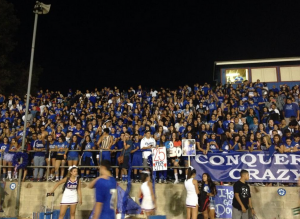 GO AMAT !!!!!! Amat 73,my point, Saint John Bosco proved they were the better team up until the last seven minutes or so. When the Bosco QB threw the interception, ‘the air was let out of the ballon.’ The team was devestated instead of fighting back (just like in firefights). Bosco proved to me, Mater Dei will and can be beaten! Not sure we have the athletes in the secondary to stop CO’s passing game. Nevens will be Nevens (150 yds and 3 TDs) but it won’t be enough. LA goes down 42-31. Charter Oak has had two close games the last three weeks which were West Covina and Diamond Ranch. The reason being is that both teams were able to get pressure on the quarterback. Lets remember that the current quarterback was not the starter and there is a reason why. He tends to make a lot of mistakes when the defensive line gets pressure. 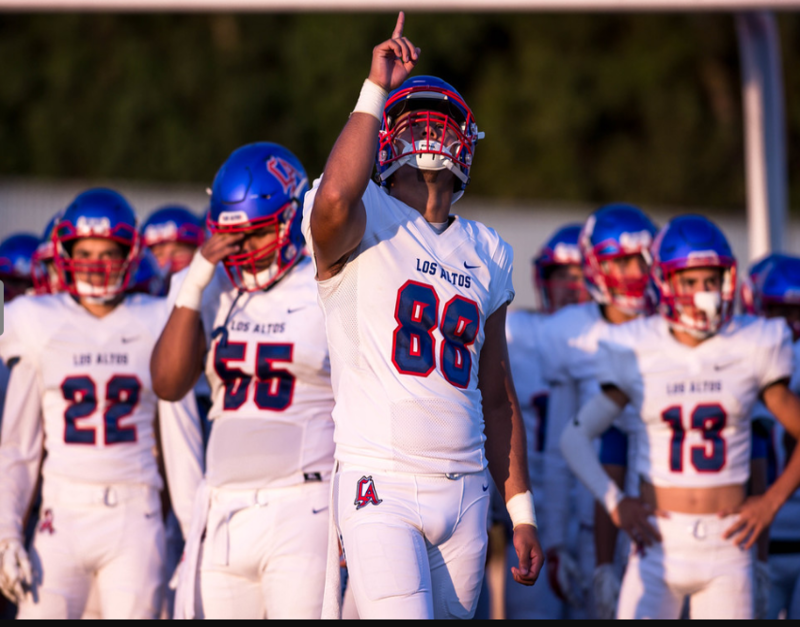 There are two things we do know about Los Altos, one is they will run with Nevens and two is there defensive line will get pressure. If the defense gets enough pressure in the backfield that forces mistakes and takes away pressure on the secondary. Every time any school has a good season, the accusations about recruiting and other forms of cheating begin to fly…..its business as usual. Conq. 76,when Mater Dei came all the way froma Santa Ana in Orange Countty to the San Gabriel Valley—Baldwin Park, in attempt to sway the lineman ‘Paco,’ to play for them, I would call this recruiting. Why all the talk about recruiting. Its non issue any more. Anyone can transfer, if you do it after your at one school you “can” lose a year if the other school objects and files papers. Now lets talk about the game; and it is going to be great one. Everyone has been waiting all summer and I am glad that both teams are undefeated. It says a lot about San Gabriel Valley football. With all the talk about Nevens and Castillo I think this game will be decided by Takada the third QB for CO this season. If CO has a chance to win, Takada has to have a great game and hit those outside receivers. The LA games I have been to, i have worried about the LA secondary and it seems that for short bursts throughout the game, they lose focus. During the 2nd Q of the Glendora game I was complaining that Nevens didn’t have 20 yards then late in the 2nd Q with a lead he starts the grind. My point is that Olmos and the offense are a Grind type team and they will take what you give them. Olmos does a great job backing up the defense so that Nevens can do this thing. Back to Takada, my thought [and hope] is that the LA defensive line will NOT allow Takada to get into a rhythm and hit those outside receivers. I guess I should say its in Takada or the LA defensive line’s hands. The LA offense like the CO defense are known entities, they are both solid. I dont know how the CO kicker is but Hunter White can hit some longer distance field goals. GO LA!!! Called it. LA Defense wins!